Fourplex in the heart of Normandy Isle. Property was built in 1946 and consists of (4) two bedroom/1 bath apartments with approximately 825 sq. ft. CBS constructions, with 3,299 square feet of rentable living space. Rents are currently below market, ranging from $725-$900, which are low for the area. The opportunity allows for investor to acquire and renovate 4 units and increase rents to market rate of $1540 or ($1.87 sq. ft). Great amenities near the property, like: Normandy Isle Park & Pool, Normandy Golf Course, Normandy Park, tennis courts & beaches. 2-Story Fourplex in North Beach area. Great income producer. All units are 2/1 with private screened porches and central A/C. Close to dining, shopping, and beach. THIS IS A RARE FIND. SUPER CLEAN BUILDING RARELY AVAILABLE. RENOVATED FOURPLEX CONSISTING OF 3 ONE BEDROOMS AND 1 2 BEDROOMS SITUATED IN A BEAUTIUL ISLAND SURROUNDED BY RESIDENTIAL HOMES. THIS IS A VERY NICE INVESTMENT BRINGING IN ABOUT $57,000 YEARLY. PRICED REDUCED !!! 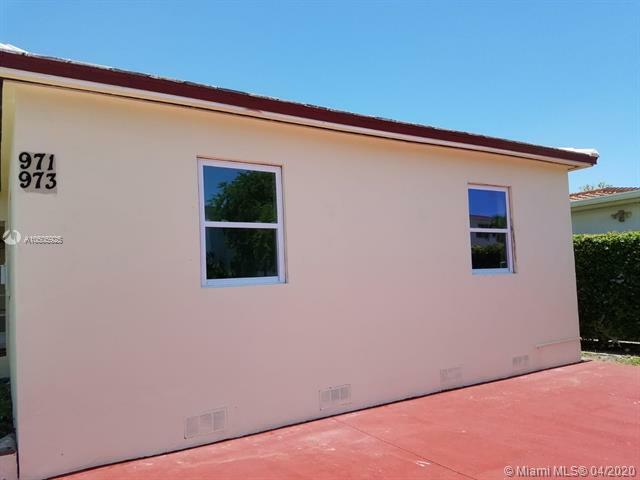 Great investment opportunity in North Miami Beach to own a Fourplex walking distance to the beach. This Proprety features 4 spacious units 1/1 with terrazo floors and more. Please do not disturb tenants. Showings only by apoinment. 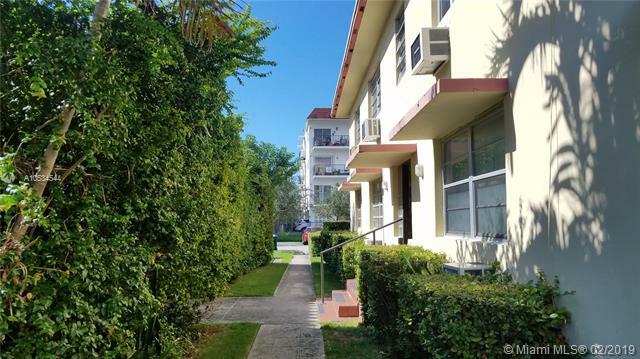 Value Add Multifamily opportunity on exclusive Normandy Isle in Miami Beach, FL. Four 1/1s. Three units are 2017 remodeled, new bathrooms, flooring, kitchens. Month to Month leases. Rents under market at $1,200, $1,200, $1,250 and $950 per month. In January, rents will increase in two units from $950 to $1,100 and from $1,200 to $1,250/m. NOI of $34,016 based on January rents and includes a 5% management fee. Laundry on site but not currently operational, can produce income with new machines. Space to build large deck or outdoor barbecue area in large backyard. Boutique building with newer split level A/C units. On the same block as Normandy Isle Park and Pool and basketball courts.Plentiful street parking. Remodeled units in the area rent for $1,350-$1,500. Dont miss this opportunity for a turn key investment with a huge upside potential to convert all units to 3 Bedrooms. Larger than most fourplex in the area, features over 4,200 sqft of living space. Currently units are: Two- 2/2s, One- 3/1 and One- 2/1 all with new central A/C, High Impact windows and doors and on-site laundry. Property underwent extensive updating to recently pass 40 year City of Miami Beach re-certification(see attachments). Walking distance to the beach, local bars, restaurants, grocery stores and public parks with easy access to public transportation and major highways. Wow! A fully Renovated Quadplex 3 blocks to the beach for under $900k?? This property was completely remodeled down to the studs back in 2015. Dont Wait on scheduling a Showing; Click the 3-D Virtual Tour Below!! All units are leased at market value and come with a private parking space! 40 Year Certification Completed! Hurricane Impact Windows throughout, new A/C units, appliances, fixtures, bathrooms, kitchens, flooring, electrical. Easy to manage, owner pays water/sewer/trash but receives additional income from rear covered laundry. Lawn is only $50 when needed, very simple! All units have separate electrical meters. Everything was completed with permits by a licensed contractor. Hurry up and lock this one in before the North Beach Revitalization starts and make money from day 1!!! A 2-story residential building with (4) units 2 two-bedroom / one bath and 2 two-bedroom / two bath. Completely gutted and renovated in 2015, the property has been painted, new roof installed, allinterior corridors redone, new flooring, new kitchens, new bathrooms and central air added. The kitchens have granite tops, wood cabinets and pergo wood flooring thru-out. Recently received its 10 year re-certification. The property maintains a full occupancy since completion and rents have continued to increase with room to grow. On site parking for up to 4-cars, with additional street side parking available from the city. Truly a gem of an asset in the heart of the growing area of North Beach. Own 4 income producing units in Miami Beach! All 4 units have been renovated and are rented. Units are located directly on the Normandy Golf Course! Property is near the Fairway Park and Normandy Shores Golf Course. Units are located in a high rental area. BRING YOUR OFFERS! Dont miss out on this incredible investment! Just walking distance to the beach, , North Shore Park, schools, houses of worship, and incredibly close to supermarkets, restaurants, public transit & more. This 2-story residential boutique building with secured entry, features a MiMo design, & consists of four 2BA/2BA units that are fully renovated [except windows] with designer level open kitchens with SS appliances, quartz countertops, modern cabinetry, gorgeous baths, new electric & plumbing. Building is fully gated with on-site laundry, terrazzo, individual private balconies & more! This property is fully occupied with long-term tenants & provides solid income with great cash flow from day one. Also comes with a 40 years certificate. Call today about this instant cash flow opportunity! Excellent 4 plex always rented, Separate meters, Central A/C. Please call listing agent regarding 5% CAP Rate. Each apartment rented at $1550 month to month (except managers unit). Rents could easily be increased, walk to schools, beach, shopping, etc. Please submit LOC or bank statement prior to showing request. May consider partial seller financing. Looking for a safe, long term investment in immaculate shape? This property has been recently renovated from the inside out. This makes the investment less volatile due to the absent need to re-invest into the property due to constant repairs. The property is also fully occupied with long term tenants. This property is to sell together with 1725 Normandy Dr (ML#A10643284) for $2,650,000. Both properties have a total of 8-units; four 2/1s and four 1/1s. Total Monthly Income is $13,540. Yearly Gross Income is $162,480. Please call or email to request OM. Looking for a safe, long term investment in immaculate shape? This property has been recently renovated from the inside out. This makes the investment less volatile due to the absent need to re-invest into the property due to constant repairs. The property is also fully occupied with long term tenants. This property is to sell together with 1795 Normandy Dr (ML#A10643397 ) for $2,650,000. Both properties have a total of 8-units; four 2/1s and four 1/1s. Total Monthly Income is $13,540. Yearly Gross Income is $162,480. Please call or email to request OM. Fantastic income producing Multifamily in the heart of Miami Beach. Solid rent income. 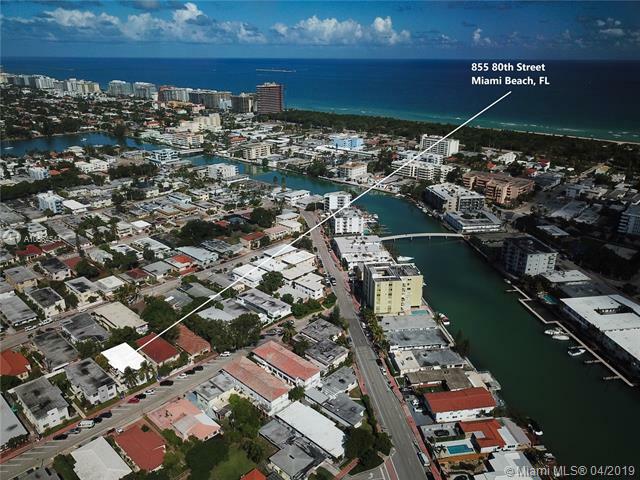 Located on the desirable North Beach where City of Miami Beach has approved an amazing master plan and changed the zoning to transform this area substantially, adding value and incredible opportunities for investors. Just minutes away from restaurants, stores, public transportation, supermarkets, Collins Ave and trendy South Beach. The land goes from Marseille Dr all the way to Calais Dr, with parking on and access from both streets. The property consists of 4 - 2 bedroom 1 bathroom units. Its been partially renovated, fenced, licenses up to date. New digital cell intercom system. Well maintained. LOCATION, LOCATION, LOCATION!!! OPPORTUNITY KNOCKS, TWO BLOCKS TO THE BEACH AND ONE BLOCK TO NORTH BEACH OCEANSIDE PARK. NEW ELECTRIC, PLUMBING, ROOF AND MAIN BATHROOM. JUMP ON THE CHANCE TO OWN THIS THREE UNIT PROPERTY ZONED MULTIFAMILY UP TO 9 UNITS. GREAT DEVELOPMENT OPPORTUNITY! Premier triplex in 2 story multi family building in Miami Beach 100% NEW NEW NEW! This stunning contemporary dream is in the choice location across from Garden Park! 3 Bedrooms + 2 Bedroom + 1 Bedroom units + income producing. *** no expense was spared *** 600,000 spent on exquisite renovation. White bright + eye popping with porcelain floors, white and grey decor, all new - every inch- all impact glass windows, top of the line open kitchens + floor plans. Impeccable instant cash flow for investors. Rare + Unique opportunity. Great opportunity!! 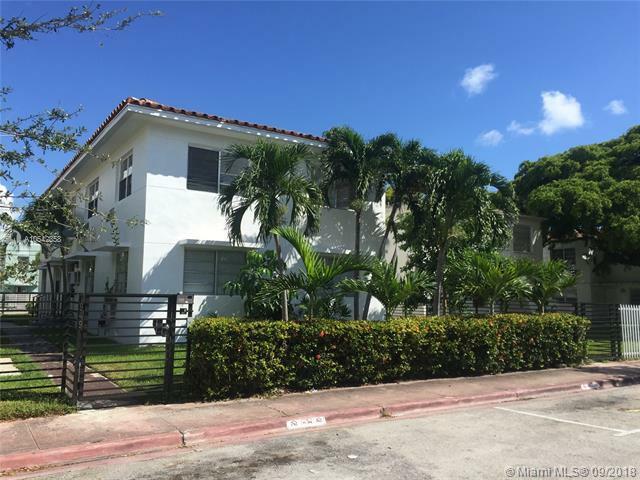 !Beautiful Fourplex located in upscale Pinetree neighborhood Miami Beach. Walk distance to shopping, schools and the beach. High demand for seasonal rents. 10 Parking Spots. Dont miss this opportunity to own this historic Carlos B. Schoeppl waterfront income producing fourplex. Located in the heart of North Beach. The property consists of 4, beautifully restored 2 bedroom, 1 bath units with central A/C. Fully occupied and well maintained. Park your boat & enjoy this lush garden sanctuary overlooking the waterway with over 100 native plant species & all that North Beach has to offer. Just minutes to beaches, restaurants, cultural venues and one of the citys largest oceanfront parks. Live here and earn income! Welcome to Villa Chica in the heart of South Beach. Four separate income-producing apartments. Zoned for multifamily up to 9 units! Main structure is a charming renovated 1920s 2-story building with hurricane impact windows. Spacious 2nd-floor deck overlooks a lush garden with mature trees and bamboo. The two apartments in the main building -- one per floor -- are both 2-bedroom units. Main building could be converted to a fabulous 4-bedroom single family home for owner. Across a courtyard are 2 more units, each with a kitchen. Close to Whole Foods, Flamingo Park, South Pointe Elementary, and the beach. Ample room for a pool. Live it, love it, lease it out and/or add on to it. Villa Chica is easy to show! Property can be a Triplex, Duplex, Single Family Home, or Hotel - Daily Use. 3 separate entrances, property has access to the water. Property has parking on site. 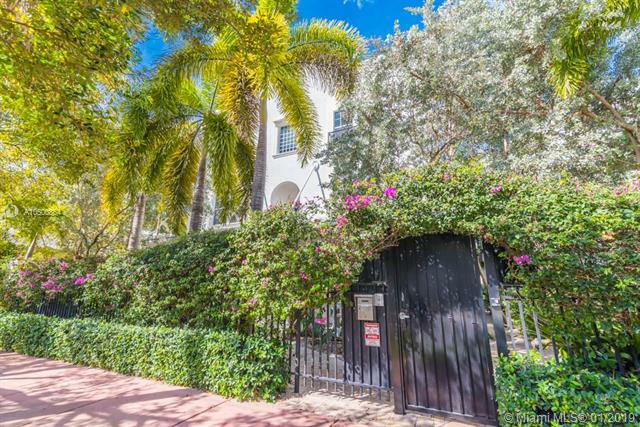 This property is located 1 block away from the Edition Hotel, and in the Faena District. 1 block away from the beach, shopping , restaurants and clubs. SPECTACULAR OPPORTUNITY TO OWN THIS 8-UNIT BUILDING 2 BLOCKS AWAY FROM THE BEACH. UPGRADED W/ GREAT UPSIDE RENT VALUE. ALL UNITS ARE 1 BED/ 1 BATH WITH KITCHEN AND LIVING ROOM AREAS. VERY EASY TO MANAGE. PLEASURE TO SHOW IT. 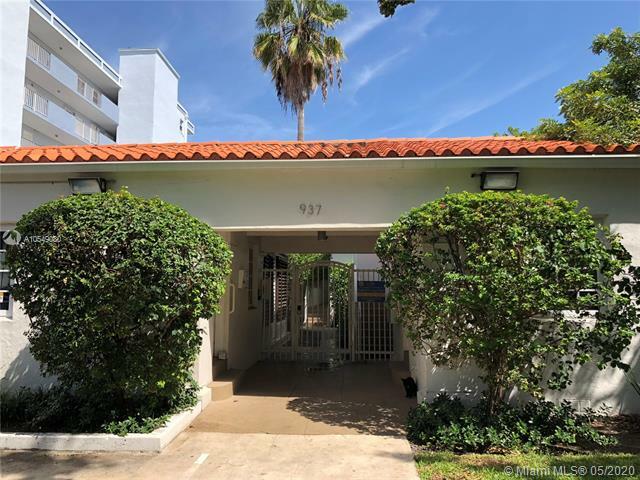 Investors, here is the opportunity you long have been looking for.Located on the top location of south beach and across the most famous pedestrian street of LINCOLN Rd . 4 existing units on a front 2 story most charming building, with approved plans/permit to build another 10 units on the back vacant land.$135 000 Impact fees already paid at city. Unique opportunity on a premium location for a condo/conversion or a cash flow from rental. Investment opportunity in Miami Beach ! 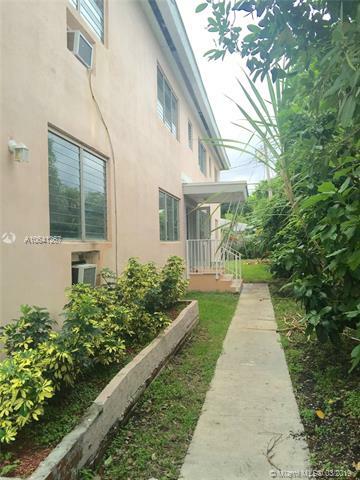 Get this 8-units updated building featuring, hurricane shutters, fresh exterior paint, laundry facilities, exterior lighting, landscaping & secured gate. This rising income producing property attracts tenants with its remarkable modern style and location just steps from a 36-acre beachfront, park, school, public transportation, the beach, and more ! Hurry in and invest in North Miami Beach! 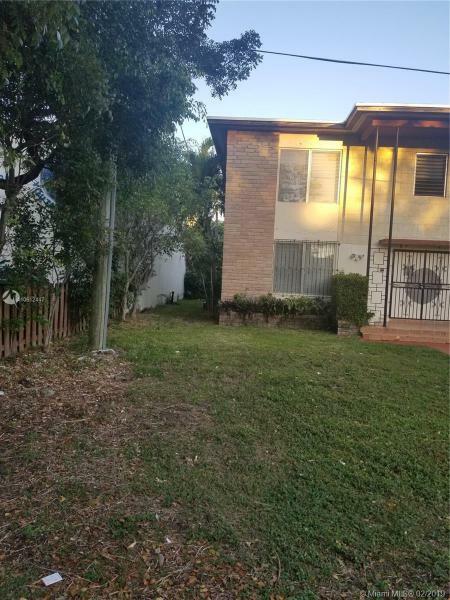 This building is 8 Units each unit is 1 B/1b + Den, complete rented, with new roof, impact windows, fresh paint, laundry, pavers, lighting, landscaping & securely gated. This high income producing property has new modern faade & delightful patio w/ parking on both Marseille & Calais Dr, making it highly desirable. Each unit features den, updated kitchens, formal dining.Located near golf course, parks, beach & more. $400K PRICE REDUCTION! Improved Multi-family in the heart of SoBe. 6 units total. Fully leased and completely renovated. Impact windows, new roof, new a/c units, on-site laundry room, gated entrance with security cameras. 5 parking spaces in front of the building. Well maintained with beautiful grounds. Keep as an income producing or re-develop. Zoned RM-1. Contact listing agent for more details. Great location, one block to Whole Foods, Alton Road, Shops on Lenox and 5th, Flamingo Park, restaurants. The property is centrally located in the South of Fifth neighborhood. It is walking distance to Joes Stone Crabs, Prime 112, Big Pink, Montys, Smith and Wollensky and a short walk to South Pointe Park. These are 6 units for sale in a free standing condo building apart from the main building.The Fountain Condominium is a Condo Hotel Residences. The units are located a few blocks from the beach. The 6 units consist of two 2 bedrooms & 2 baths and four 1 bedrooms & 1 bath. Very well maintained property with exterior sitting areas to enjoy the beautiful South Beach sun. The common areas also offer a common BBQ sitting area and a heated pool. This is an exclusive South of Fifth property, nicely maintained and very desirable. 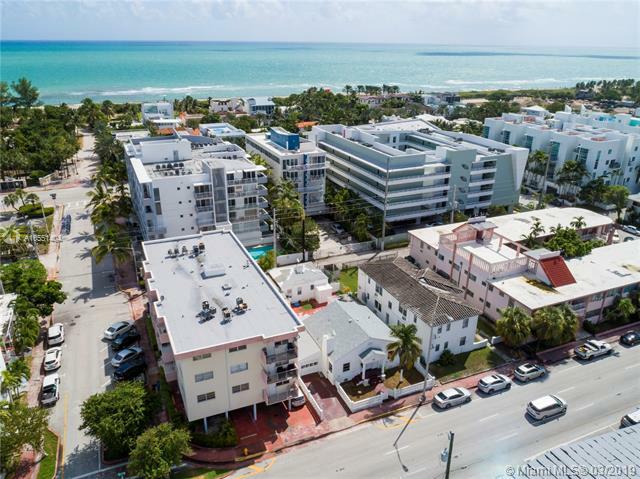 Great Opportunity to purchase this multi-family building in the heart of South Beach. Building consists of four (4) two story units currently leased to long term tenants. Leases are month to month and the owner can negotiate a rent increase if necessary. Each unit has one (1) parking spot and street parking is available as well. The building has been kept in excellent condition. A 40 year inspection was completed in 2016. Building was patched and painted in 2018. If a buyer intends on living in a unit the city will reduce the taxes by 50%. The current tax assessment is being challenged. Each unit has 2 bedrooms and 2 and 1 half bath and plenty of natural lighting. Unit 1 & 2 have two bedroom upstairs. Unit 3 & 4 have 1 bedroom upstairs and 1 bedroom downstairs. 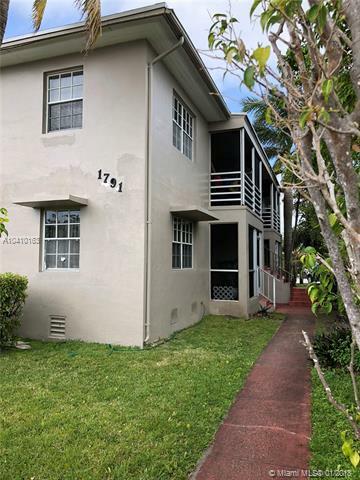 Amazing Duplex on Lenox, two bedroom each with family room, huge buildable land up to 9 units total 10,000 SQ FT in 2-1/2 stories ( as per owner )This one of the best areas in SOBE, near all the shopping, beaches, restaurants and clubs, one block from park, yet away from all the noise and traffic. High demand all year for this great rental Four-Plex. Units updated in good condition. 1.5 miles to the beach. 20 minutes to the airport and 20 minutes to downtown. Owner financing available. Please do not disturb tenants. Call Listing Agent for Showing. 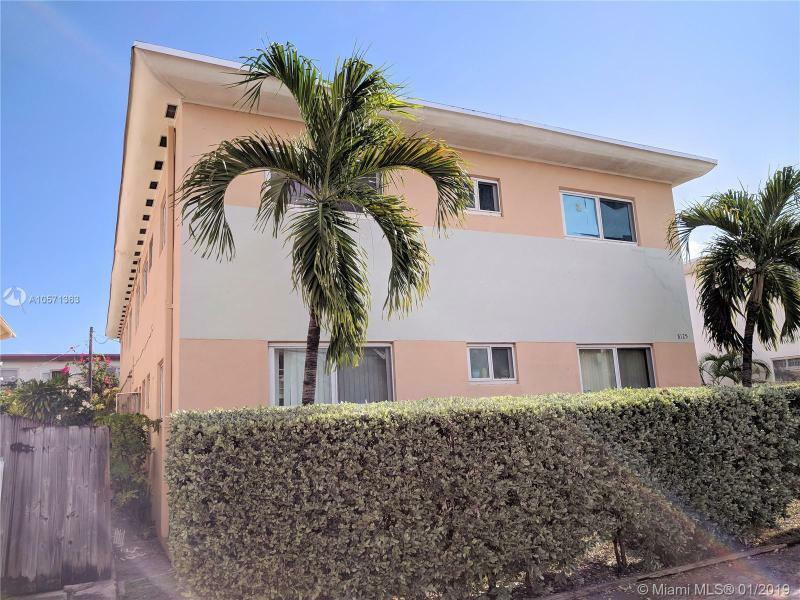 Art Deco multi-family located in South Beach featuring secure keypad access, 4 two-bedrooms, 2 one-bedrooms, and 2 studio apartments tastefully furnished and recently updated. Tons of natural light flows through these chic apartments with granite countertops, updated bathroom, and hardwood floors. A rare find in South Beach, these artfully decorated apartments comes with a large dining room already complete with stylish dining table set, perfect for entertaining guests. Ideally located less than a block from Lincoln Road, Sushi Samba, Starbucks, and tons of shopping. Two blocks from Washington Avenue and only four blocks to the beach! Common courtyard, on-site laundry facility and parking space available in front. Great value! Three brand new townhouse units in a boutique project in South Beach. Two absolutely unique three story, 3 bedroom 3.5 baths Townhomes with private garages and rooftop terraces and one 2 bedroom, 2.5 baths Townhome with private patio. Professionally designed lighting plans, ALNO kitchens with Bosch appliances, ALNO bathroom cabinets with Duravit and Hansgrohe fixtures. Fully gated building. Walking distance to Publix, Best Buy, Total Wine and the future Target. High income potential with ultra low maintenance and worry-free new units under full warranty. 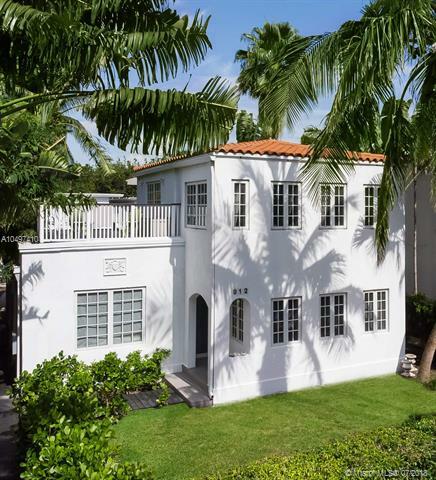 ONE OF A KIND PROPERTY IN MIAMI BEACH ON THE CORNER OF LINCOLN RD. THIS STAND ALONE BUILDING HAS 4 APARTMENTS ON THE FIRST FLOOR WHICH PRODUCES INCOME AND HAS A 2000 SQ FT APARTMENT UPSTAIRS WITH A ONE OF A KIND KITCHEN, ONE OF A KIND BATHROOM, 1/2 BATHROOM, LIBRARY/FAMILY ROOM, BEDROOM AND LIVING AND DINING ROOM. IT ALSO HAVE A VERY EXQUISITE BACK YARD WITH A POND. A MUST SEE. FOR MORE PICTURES. Welcome to Villa 1619, an Unique and luxury home in the heart of Miami Beach. A place that transports guests into a serene state of mind. The Exquisite details from floor to ceiling and windows along the home, welcomes an abundance of natural light along with the beauty of Mother Nature inside.